It is very important to carefully consider every single detail when playing poker tournaments. You have to compete with hundreds or even thousands of players. In order to win against such competition, you have to make as many correct actions as possible. Today, we would like to talk about a very important topic – bet types and bet-sizing in MTTs. Your game consists of bets, and it is crucial to make the correct bets at the right times. It might be the key factor in your success. Wrong bet-sizing or bets placed at the wrong time can lead to losses and missed profits. – Value bet. A player managed to get a hand that he considers to be quite strong. He is going to grow the pot to increase his potential winnings. This is a value bet. It can be placed on the flop, turn or river. 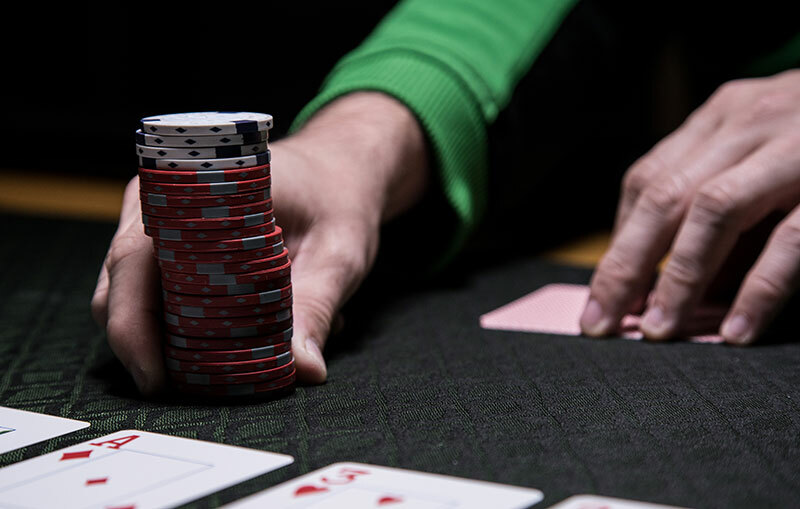 Typically, value bets are as large as opponents with weaker cards can call. – Donk bet. As you can see from the name, this is a donkey bet. A donkey bet is a bet placed without position or initiative. For instance, a player calls a preflop raise. He acts first on the flop and places a bet. Donk bets are considered to be weak and illogical play. However, skilful players tend to use donk bets to confuse opponents and force them to make mistakes. – Block Bet. This is the blocking bet, which can be quite effective. It involves making a small bet, perhaps between 1/4 and 1/2 of the pot. This trick is undervalued. The best defense is a strong offense. A block bet forces opponents to avoid aggressive play. It also helps to take the lead. A block bet is often used on the river out of position when a player doesn’t know if he is ahead or not. If your opponent calls, you might be ahead. If he or she raises, you can easily fold without taking a big loss. – C-bet. This is one of the key and most effective weapons of poker players. The most widespread trick is to make a c-bet on the flop in order to keep playing aggressively, having raised preflop. A c-bet on the turn is usually called a second barrel or a delayed c-bet if the aggressor didn’t bet on the flop. – Over bet. This bet is bigger than the pot. It is often used by inexperienced players who are unable to predict the calling ranges of their opponents. Such over bets can lead to folded cards and lost profits. However, professional players sometimes also use the over bet. This tool can be good for getting value against weak players. It can also be used as a bluff when we think our opponent’s hand is not strong enough to call huge bets. Having understood the differences between different types of bets, we still find it difficult to make bets of the correct size. The size of a bet is determined by several factors: tournament stage, your stack, opponents’ playing style, etc. Therefore, we would like to focus on the basic principles required for placing bets of the correct size. First of all, you should answer the question: Why are you betting? If you’re betting for value, you should motivate your opponent to call. If you think that he’s on a draw, make him play against the pot odds. When you think about a suitable size for your bet, it is crucial to read your opponent and predict his hand range. Let’s have a look at an example. It is the middle stage of a tournament. We raise 2.5 BB from the button with KQo. The player in the big blind calls, and the flop comes AKc7c. The big blind checks. How much should we bet? 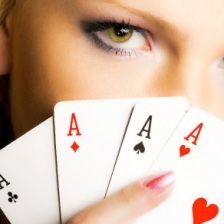 Our bet is not a pure bluff; our opponent will not fold an ace. Kings are second pair here. Therefore, we should bet for value and to protect our hand. With what kind of range would our opponent call our bet? Well, he could have a king with a weaker kicker, a pair of sevens, JT or JQ for a gutshot, or a flush draw. In such a situation, the correct bet would be 1/2 – 2/3 of the pot. In this case, we don’t let our opponent complete his draw cheaply. Even if he calls, we will be able to keep the pot under control, having the advantage of position. Checking or making a block bet for a free showdown would work on the turn. Regardless of how your hand develops, always ask why you bet and why you bet a certain amount of chips. Make sure you find answers to these questions. Then you will be able to place correct bets at the right times.